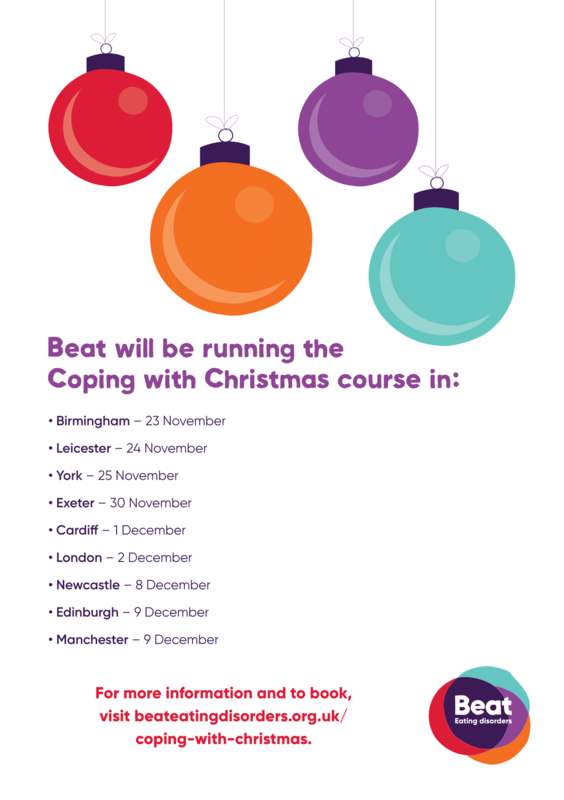 Beat, the UK’s Eating Disorder Charity are running ‘Coping with Christmas’ one-day training. ‘Coping with Christmas’ is a one-day training course to equip you with skills to support someone, so they feel more in control and less overwhelmed, and you are able to enjoy your day together. 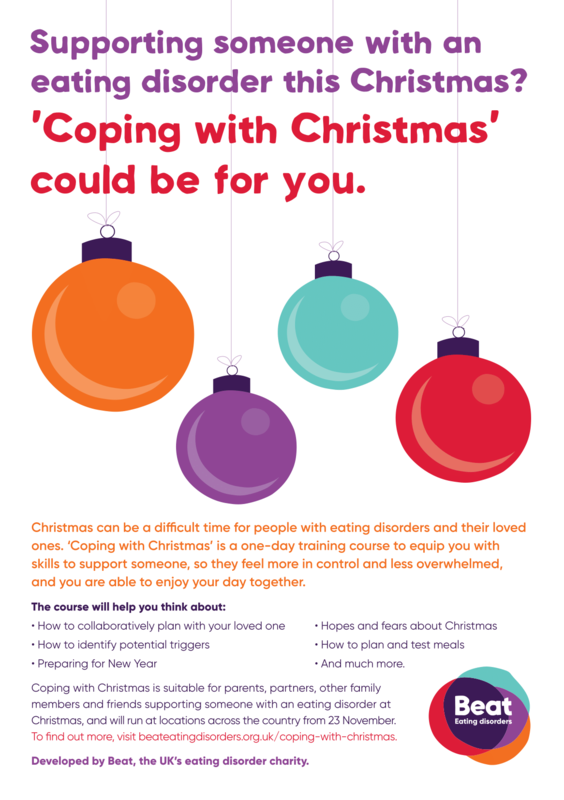 Coping with Christmas is suitable for parents, partners, other family members and friends supporting someone with an eating disorder at Christmas, and will run at locations across the country from 23 November. To find out more, visit beateatingdisorders.org.uk/coping-with-Christmas. Download the A4 Christmas poster here and the A5 Christmas poster here.